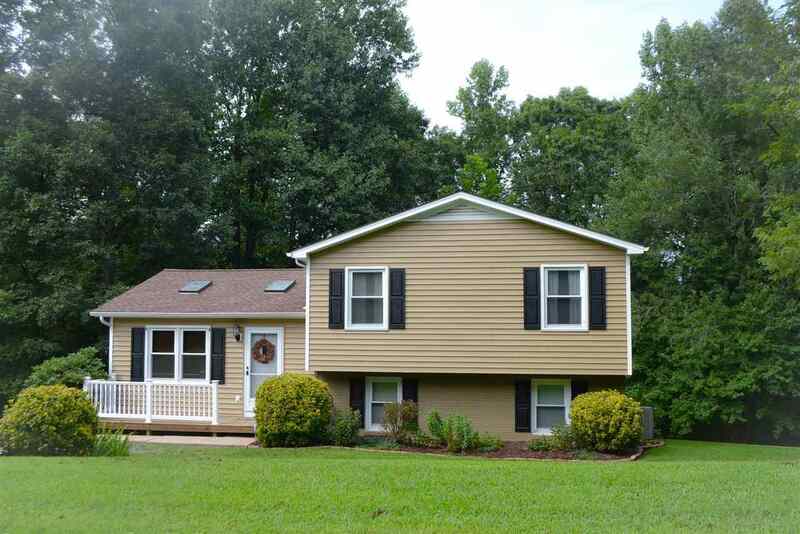 This wonderful Ruckersville home is in excellent condition. The home sits on a 1.4 acre corner lot with a thick line of trees for natural privacy. The main floor consists of the living room, dining room and kitchen with nice neutral paint colors and hardwood floors. The second level is only a few steps up where you will find three spacious bedrooms a full bath and a 1/2 bath. The basement level consists of a good sized family room, full bath, laundry and some unfinished space for storage. All the big stuff has been recently updated - New Carpet, New Deck, Siding, Windows, Doors and Hot Water Heater replaced in 2017 and Roof in 2015. Nothing to do but move in and enjoy!